Since its launch in May 2005, the Swift has been, without doubt, a much-loved hatchback among Indian car buyers. The fact that it has reached the two million sales mark bears testimony to the revered status of the car. Folks at Maruti Suzuki have yet another reason to rejoice as their highly-popular hatchback Swift has just crossed the two million sales mark. The milestone achievement comes after the launch of the first-gen Swift way back in 2005. 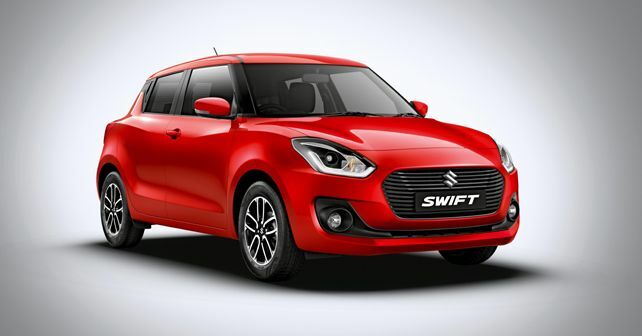 Running in its third-generation now, the new Swift, despite its relatively new status, has contributed a fair bit towards the milestone as the new Swift became the first-ever car in India to breach the one lakh sales mark within 145 days of its launch in February 2018. Due to this, the company had to increase the production capacity of the car by nearly 45 per cent to 1,39,000 units for the April-October 2018 period as compared to the same time last year. The current generation of the Swift, which is based on the company's 5th-gen HEARTECT platform is by far the most advanced in the Swift lineage. The new platform provides the car more strength and rigidity, and an overall weight reduction of 80kg over its predecessor ensures a peppy performance and agile handling with better acceleration and an improved power-to-weight ratio.